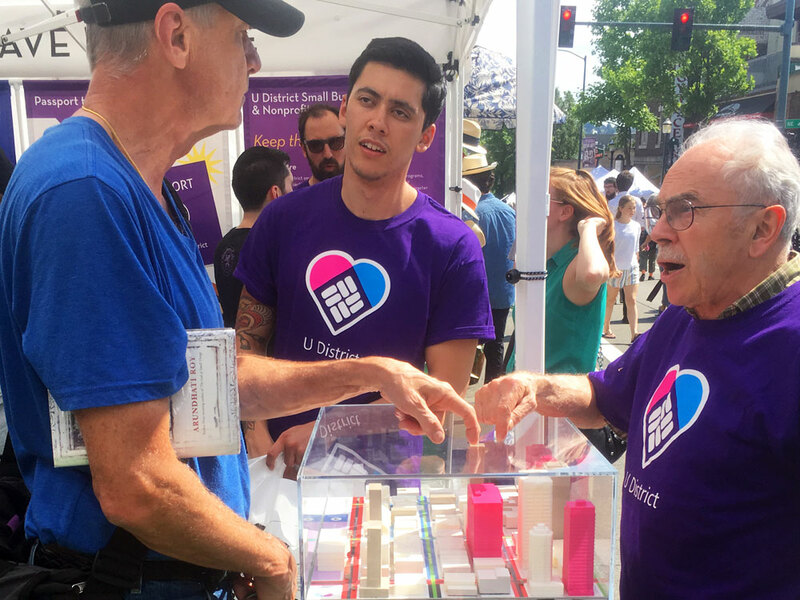 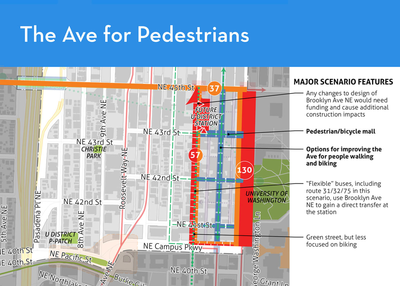 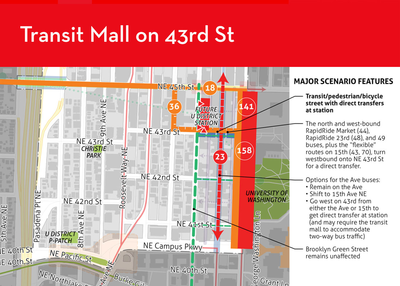 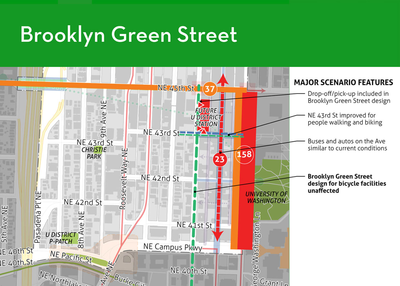 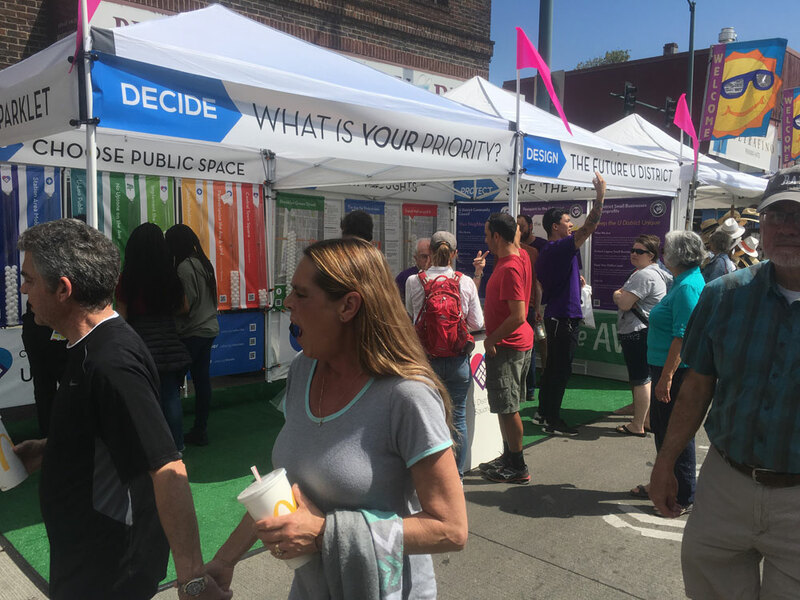 From last year's Streetfair, we identified a holistic approach to mobility to be a priority for our U District Community. A year later, we returned to the fair to test this assumption and learn more from visitors. 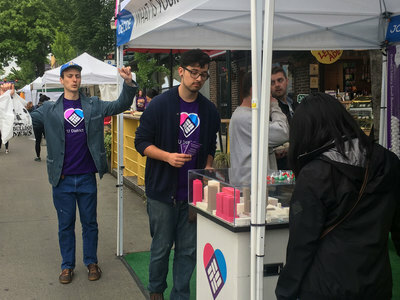 Our fair is the nation's longest-running streetfair, celebrating 49 years in the U District in May of 2018. 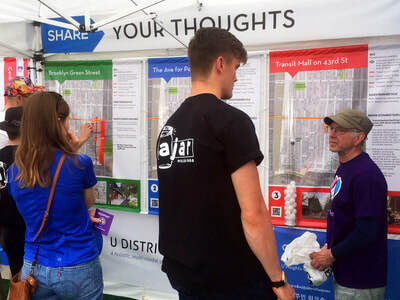 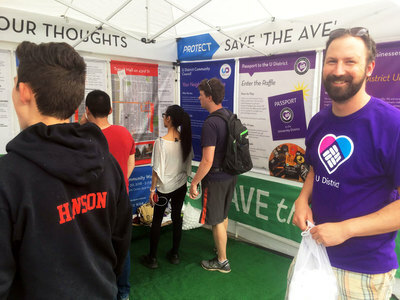 Our booth was beside the U District Parklet, where we presented the latest scenarios for mobility and collected community feedback. 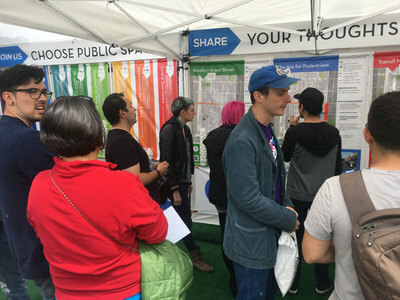 A fun, interactive exercise asked visitors to drop a ping pong ball into their preferred approach to aligning the transit on the limited public streets in the station area. The results from the polling are listed here and reflect a vote every 20 seconds during the fair.